Hope he's got his chainsaw ready again. The Sharks do not want to go down easy. Their current form is L-W-W-D-W. I mean one of those wins I can totally endorse, as they beat Inter. But their form is great and they are also playing at home, so a Sharknado is likely coming our way. For their 2-1 defeat of Sampdoria on Sunday, Nicola lined up Cordaz; Ferrari, Ceccherini, Martella, Rosi, Crisetig, Barberis, Nalini, Rohden, Trotta, and Falcinelli. 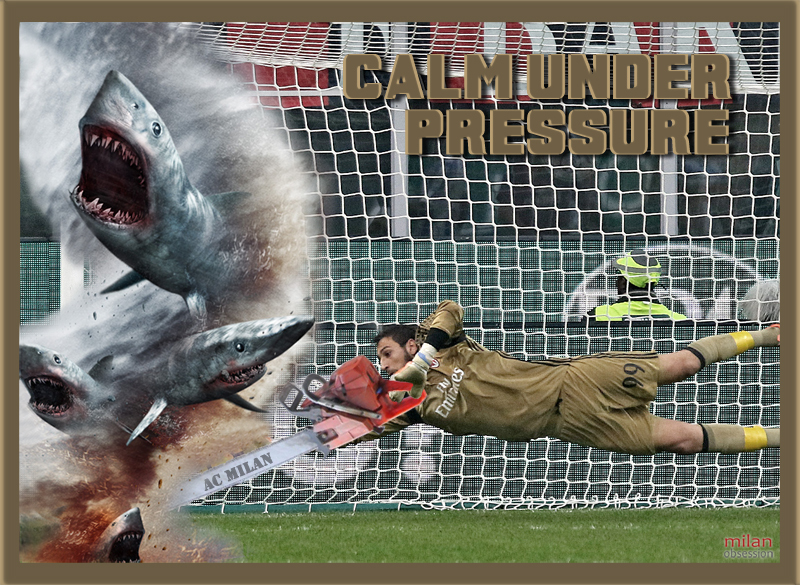 Also, Nicola has zero injuries or suspensions, so has a full frenzy of sharks with which to attack Milan with. Montella, on the other hand, has plenty of blood in the water. Both Sosa and De Sciglio are suspended for this match. Abate, Bonaventura, and Antonelli are out injured, while Bertolacci is hoping just to make the bench. He has returned to partial training so far this week after being out for a while to injury. 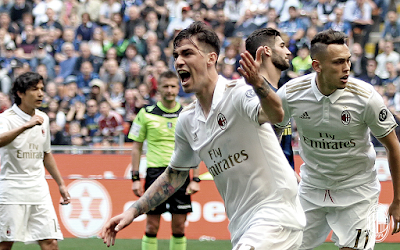 Romagnoli is still expected to miss as of this writing, too, after a knock in training ahead of last week’s match. So look for that unpredictable duo of Paletta and Zapata most likely starting in the central defense, surrounded by our only two available fullbacks, Calabria and Vangioni. Kind of like heading into shark infested waters with a leaky boat and a nosebleed. Despite defeating Crotone 2-1 in December, we did not play convincingly against them then. Now that they are desperate, I honestly don’t expect this to go well. The loss to Empoli last week showed that some things never change, and especially the fans’ response to that loss. I can only hope that this time, people can face the match more realistically, and perhaps with more alcohol. Despite our positions on the table, we need to respect the fact that Crotone are fighting for more than we are. And if we want this win, we’re going to have to dig really, really, deep and want it even more than they do. No, this is not just a warning. It’s a full blown Sharknado Alert.